Thank you for submitting your item for appraisal. This appears to be a french Napoleon III ca. 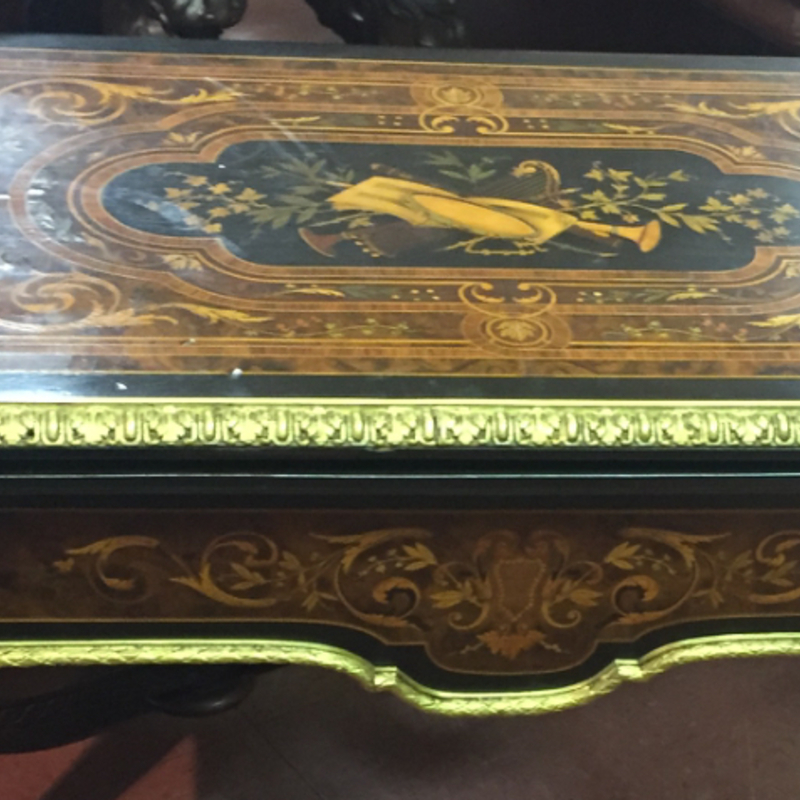 1870s table with music related marquetry and a brass or ormolu banding. The marquetry might need some attention. The estimate is based on similar items sold at auction. Asking prices in the trade are usually higher and can vary.